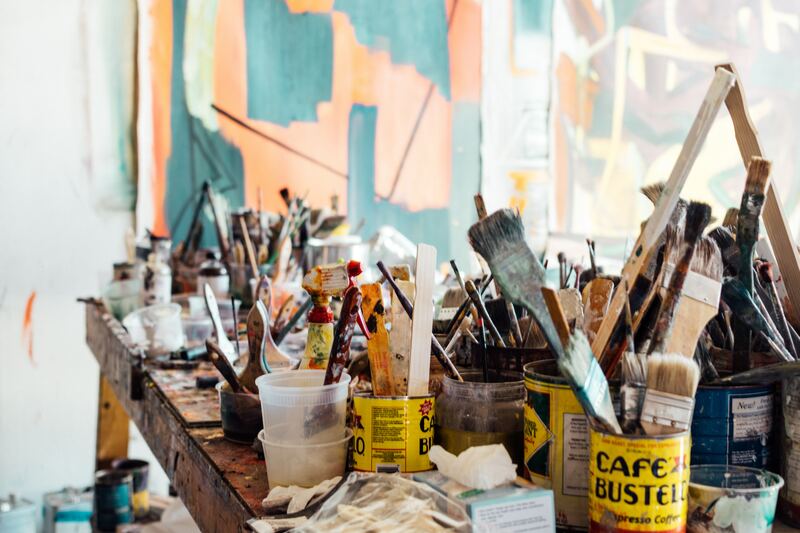 An impressive array of artwork, including oil and acrylic paintings, watercolors, drawings, woodcuts and painted sculpture, will be on offer at the upcoming March 13th auction at Gray's Auctioneers. A mid-week auction featuring nearly 300 lots of fine art, furniture and decorative arts from fine estates across the country – highlighted by artwork from the noted Czech collector Jaroslav Mervart – will be held Wednesday, March 13th, at 10 am Eastern time by Gray’s Auctioneers, online and live in Gray’s gallery at 10717 Detroit Avenue in Cleveland. 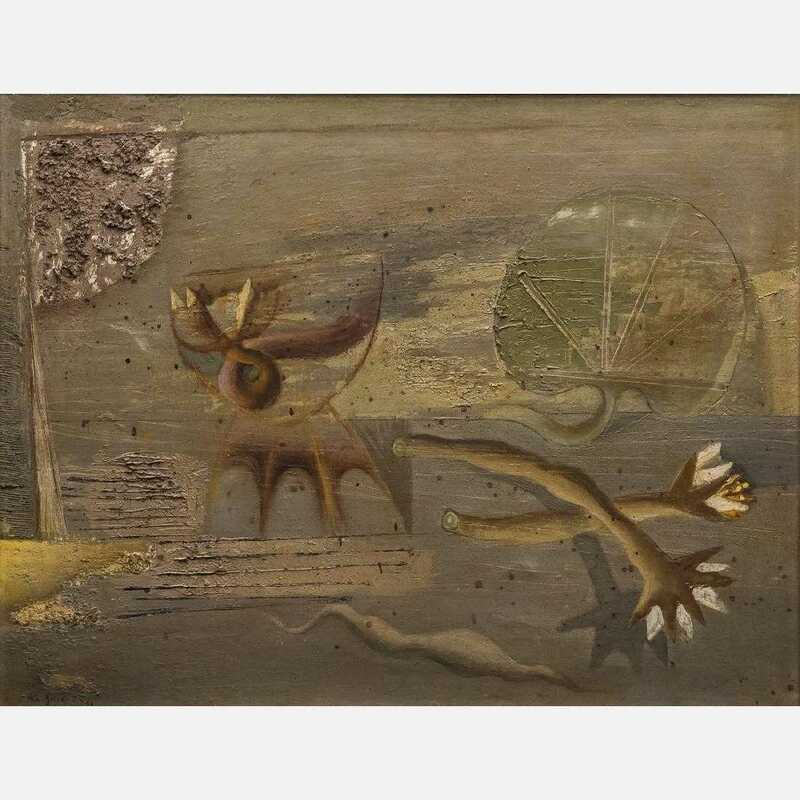 This untitled oil on board painting by the Czech painter, graphic artist and illustrator artist Zdeněk Sklenář (1910-1986) is a candidate for top lot of the auction (est. $20,000-$40,000). With a pre-sale estimate of $20,000-$40,000, an untitled oil on board painting by the Czech painter, graphic artist and illustrator artist Zdeněk Sklenář (1910-1986) is a candidate for top lot of the auction. The painting, from the Jaroslav Mervart collection, measures 26 inches by 20 inches and is signed and dated (“’46”) lower left. It was previously exhibited at the Roudnice Art Gallery, near Prague, in 1982. Oil on canvas titled Still Life with Flowers after Margaretha Haverman (circa 1693-after 1739), the renowned flower painter from the Northern Netherlands (est. $5,000-$7,000). 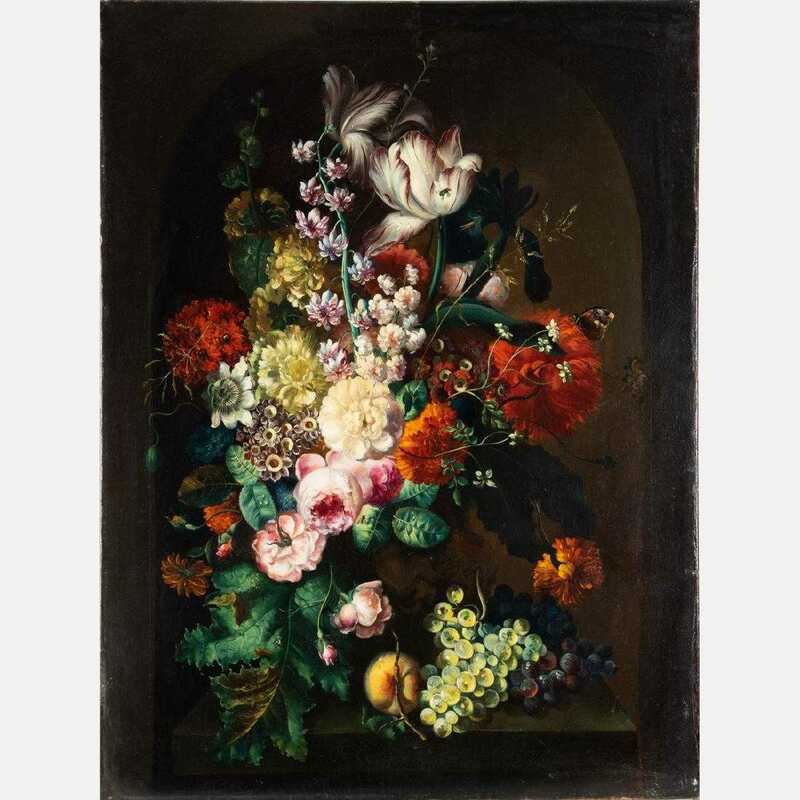 An oil on canvas titled Still Life with Flowers after Margaretha Haverman (circa 1693-after 1739), the renowned flower painter from the Northern Netherlands, should realize $5,000-$7,000. The original of the vibrant painting is housed at the Metropolitan Museum of Art in New York. The one in the auction, unsigned and measuring 40 inches by 30 inches, was relined twice, heavily repainted and revarnished. Painted terracotta sculpture titled Head of a Woman by Edris Eckhardt (1905-1998), an American artist associated with the Cleveland School, 19 inches tall (est. $3,000-$5,000). 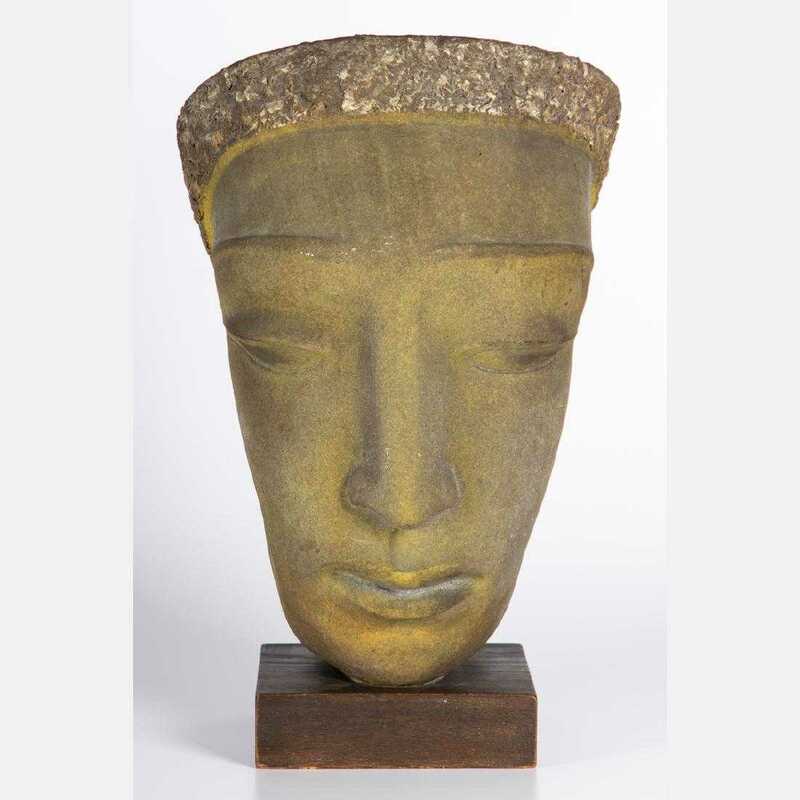 A painted terracotta sculpture titled Head of a Woman by Edris Eckhardt (1905-1998), an American artist associated with the Cleveland School, carries an estimate of $3,000-$5,000. The 19-inch-tall sculpture is mounted to a base with three brass screws and plaster, possibly by the artist. The piece has been signed at the base. Ms. Eckhardt is best known for her work in ceramic art and glass sculptures. 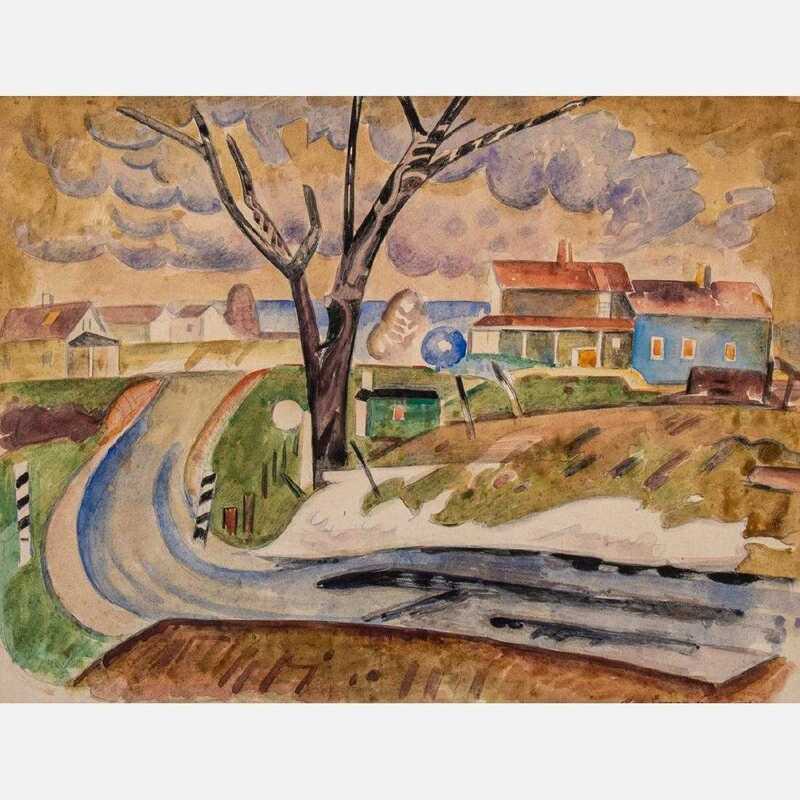 Watercolor by the American Modernist painter William Sommer (1867-1949), titled Landscape with Houses, signed lower right (est. $3,000-$5,000). Also posting a pre-sale estimate of $3,000-$5,000 is a watercolor by the American Modernist painter William Sommer (1867-1949), titled Landscape with Houses. The work, signed lower right, is housed in a frame measuring 17 ¼ inches by 19 ½ inches. In 1911 Sommer co-founded the Kokoon Arts Club, to promote modern art in Cleveland. Paintings by him currently reside in the Cleveland Museum of Art. Two large paintings by Thompson Lehnert (American, b. 1931), will include this one titled Freedom, signed lower right and measuring 52 ¼ inches by 45 inches (est. $2,000-$3,000). Two large paintings by Thompson Lehnert (American, b. 1931), an artist widely known for works that often portray figurative bodies but also works in abstraction, are expected to attract bidder attention. An oil on canvas titled Freedom is signed lower right and measures 52 ¼ inches by 45 inches. 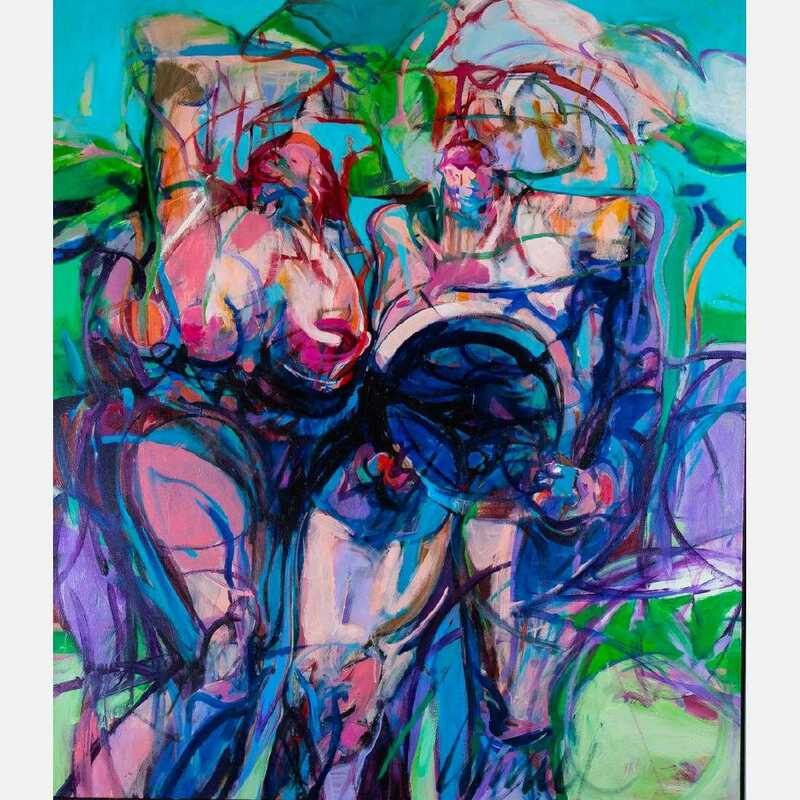 The other is an untitled acrylic on canvas, also signed and 40 inches by 53 inches. Both should bring $2,000-$3,000. A selection of drawings by Emil Orlik (1870-1932), the Czech-born painter, etcher and lithographer, will include this charcoal on wove paper signed, dated and titled London 1898 (est. $300-$500). A selection of drawings by Emil Orlik (1870-1932), the Czech-born painter, etcher and lithographer, will come up for bid. The son of a tailor, Orlik lived and worked in Prague, Austria and Germany. He studied at the Munich Academy, later learned engraving and experimented with various printmaking processes, visited Japan to learn woodcut techniques and taught at the Berlin College of Arts & Crafts. 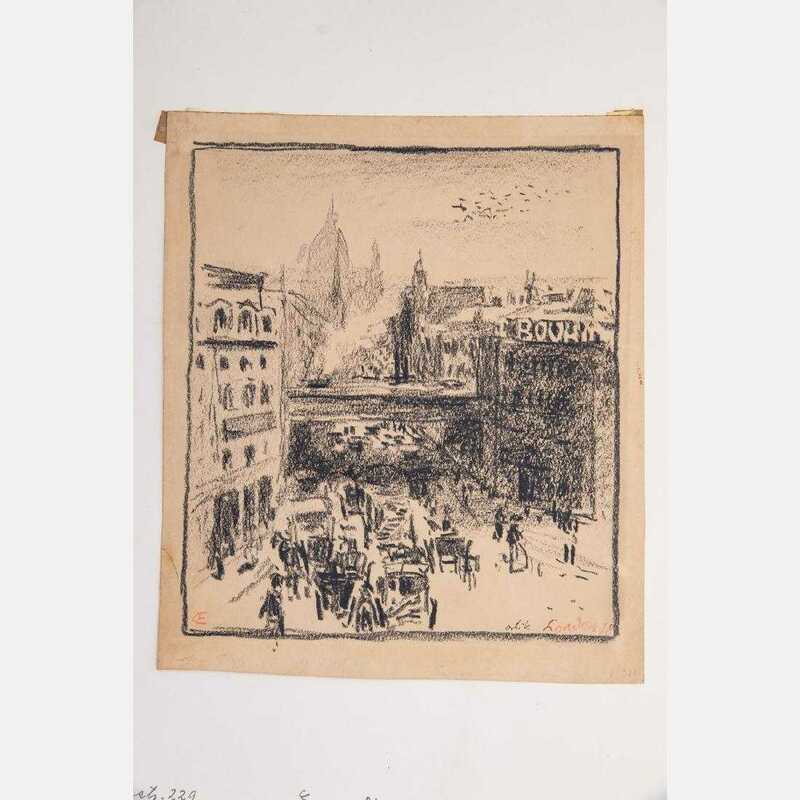 Orlik’s drawings in the sale include a charcoal on wove paper signed, dated and titled London 1898 lower right (est. $300-$500); and three lots of multiples, to include two pencil on wove paper figural studies, one signed and dated; two pencil and conte figural studies (plus a third study by an unknown artist); and three unsigned figural studies: two pencil on paper, one ink on paper (all est. $200-$400). Early 16th century woodcuts and engravings will feature a pair of woodcuts on laid paper by Albrecht Dürer (German, 1471-1528), including The Birth of Mary (circa 1503) (est. $1,000-$2,000). 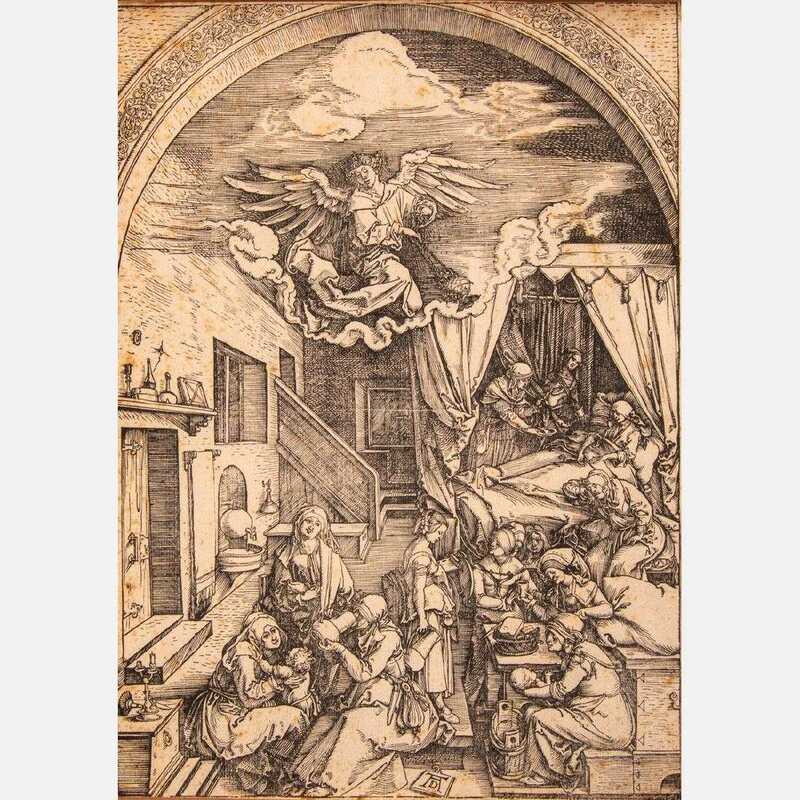 Rounding out a few more of the sale’s expected top lots will be several early 16th century woodcuts and engravings, to include a pair of woodcuts on laid paper (with watermarks) by Albrecht Dürer (German, 1471-1528), titled The Birth of Mary (circa 1503, sheet 5 of the series The Life of Mary), and The Last Supper from the Large Passion (1510). Each is monogrammed and expected to sell for $1,000-$2,000. Engraving on laid paper by the Dutch artist Lucas van Leyden (1494-1533), titled The Praising of Lazarus (circa 1508), 11 ½ inches by 8 inches (est. $800-$1,200). 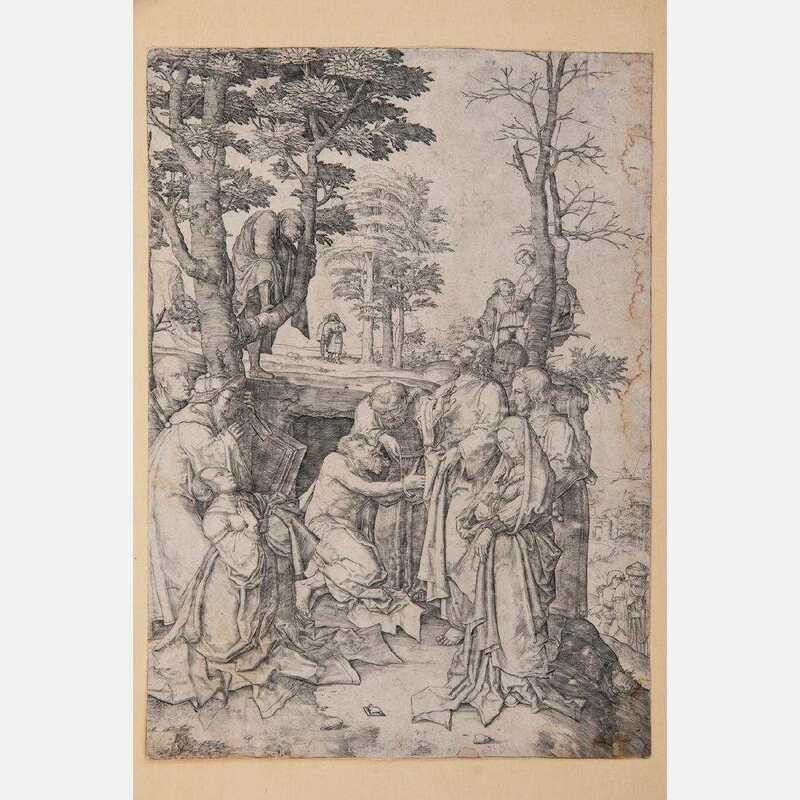 From the same category is an engraving on laid paper by the Dutch artist Lucas van Leyden (1494-1533), titled The Praising of Lazarus (circa 1508), having a one-handle jug with a quatrefoil finial watermark. The 11 ½ inch by 8 inch work, with pencil notations and an ink collector’s stamp on verso, is estimated to bring $800-$1,200. Van Leyden was a painter and printmaker in engraving and woodcut.